Fancy Nancy doesn’t enjoy ordinary words and every day is fabulous. 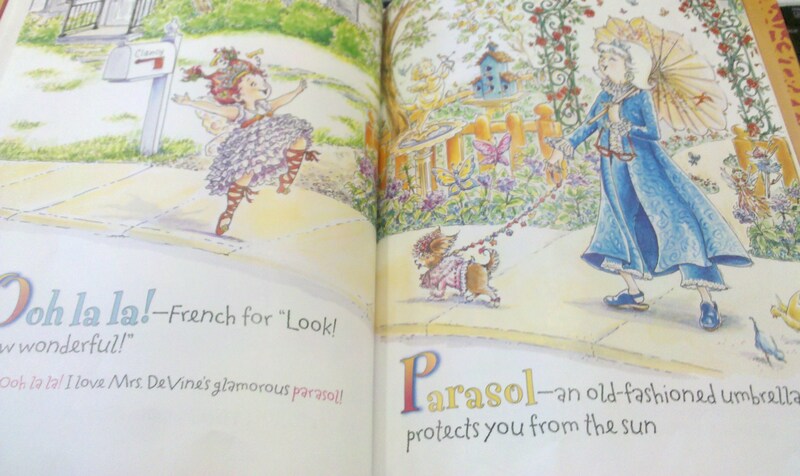 Fancy Nancy is a book series and she’s a little drama queen who loves anything French, frilly, and pink. This Fancy Nancy book is more a vocabulary book from A to Z than an actual story. Nancy uses extravagant and bold words instead of common words. This is a wonderful series, because children learn new words to replace boring and overused words. For example, Fancy Nancy believes gorgeous and glamorous are better than beautiful, loves lavender not purple, yearns to visit Paris, and is a xenophile who loves foreign things.You’ll fall in love with this outrageous girl who adores dramatic and lavish words. This entry was posted in Book Review, Children's Book, Picture Book and tagged Fancy Nancy, Jane O'Connor, picture book, postaday2011, Robin Preiss Glasser, words. 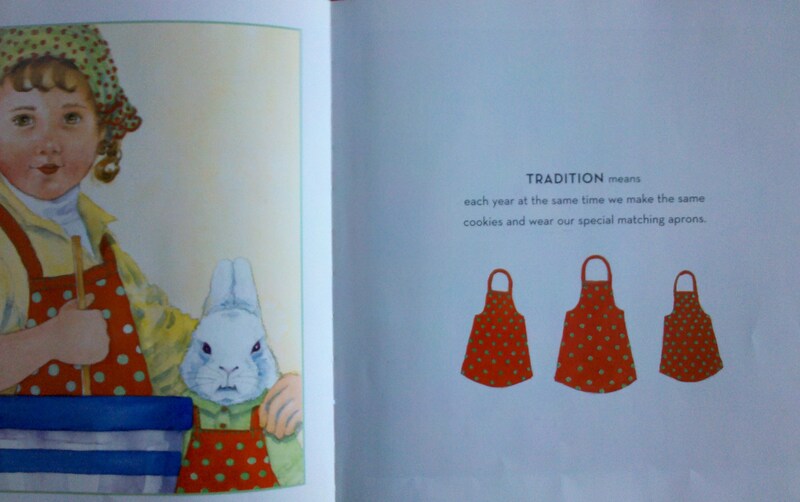 Christmas Cookies: Bite Size Holiday Lessons is similar to a vocabulary book with lessons than an actual story. You may not realize it, but there are many lessons and emotions when we make cookies. 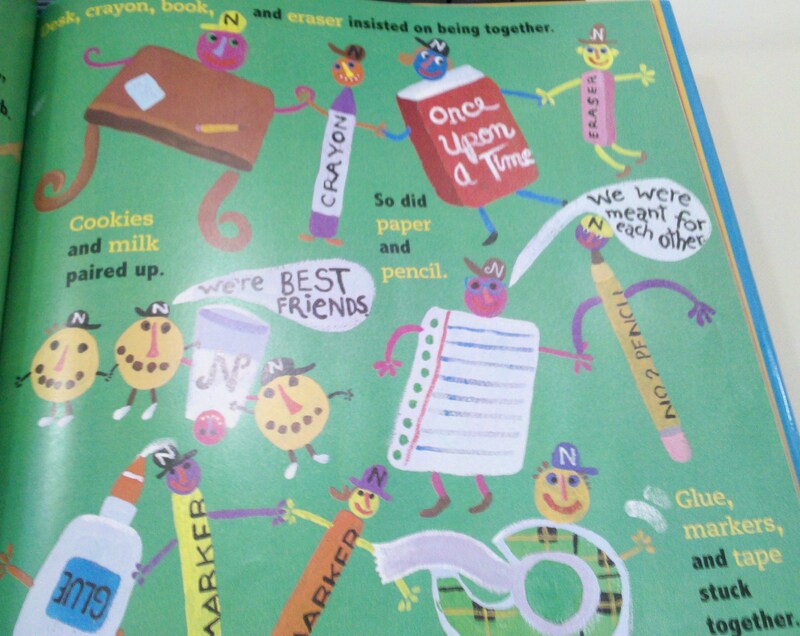 Each page has a bold word and definition that relates to the cookie making process. Some of the words and lessons mentioned are Anticipation to wait all day to make cookies, Charitable to give a batch to people, Frustrated that the cookies burnt again, and Family to enjoy the cookies together. 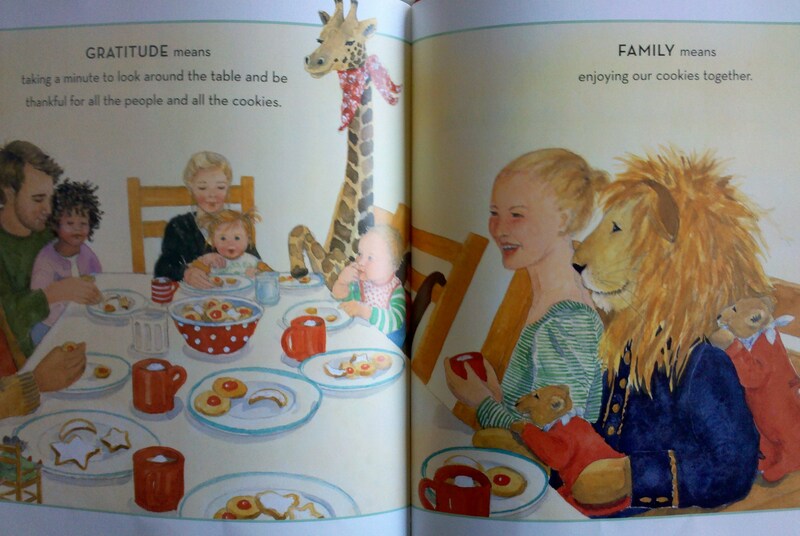 In the book, animals have human-like characteristics as they help bake and share cookies. If you enjoy this book, the author wrote similar food lesson books. Personally, Christmas doesn’t feel like Christmas without baking and sharing cookies. 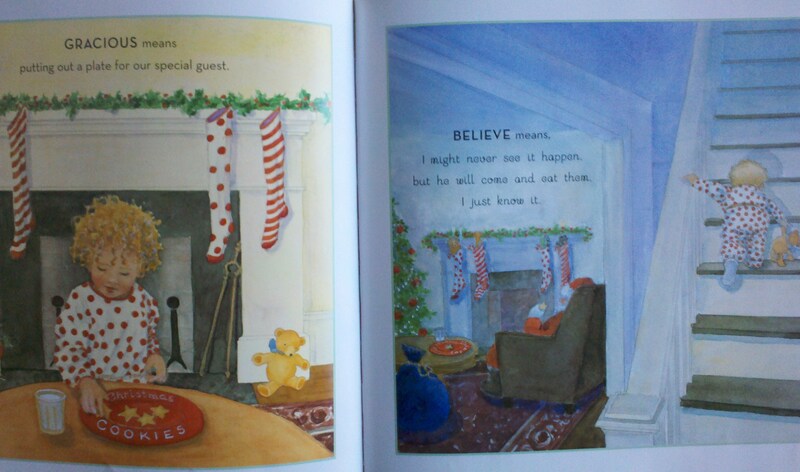 This entry was posted in Ages 4-6, Book Review, Children's Book, Holidays, Picture Book and tagged Amy Krouse Rosenthal, Book Review, children's book, Christmas, Christmas Cookies: Bite Size Holiday Lessons, Cookies, Jane Dyer, picture book, postaday2011, words. Mr. Wright’s students always search for nouns (person, place, thing or idea) and verbs (actions) within their classroom. One day, Mr. Wright’s class leaves the classroom and play outside for field day. Well the nouns and verbs also want to participate in field day. They form partners and teams, so of course the nouns stick with nouns and verbs stick with verbs. There’s paper and pencil, glue and tape, catch and throw, run and jump, and of course proper nouns stick together. However, nouns and verbs couldn’t do anything without each other. They looked out the window to see students and discover nouns and verbs working together, so they gradually form new teams and partners. 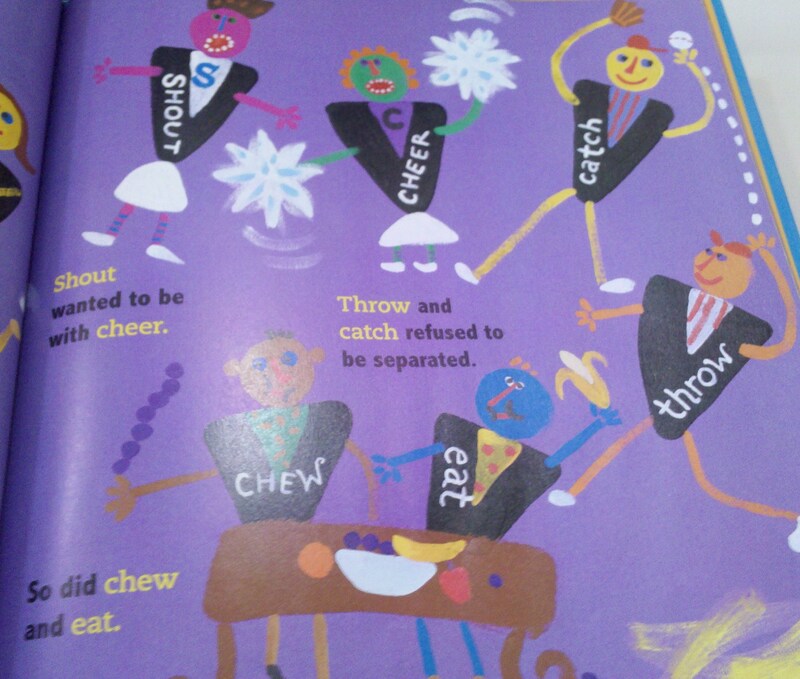 ‘Nouns and verbs played tug-of-words’. The pictures are fun, because it’s as though the actual items came alive. 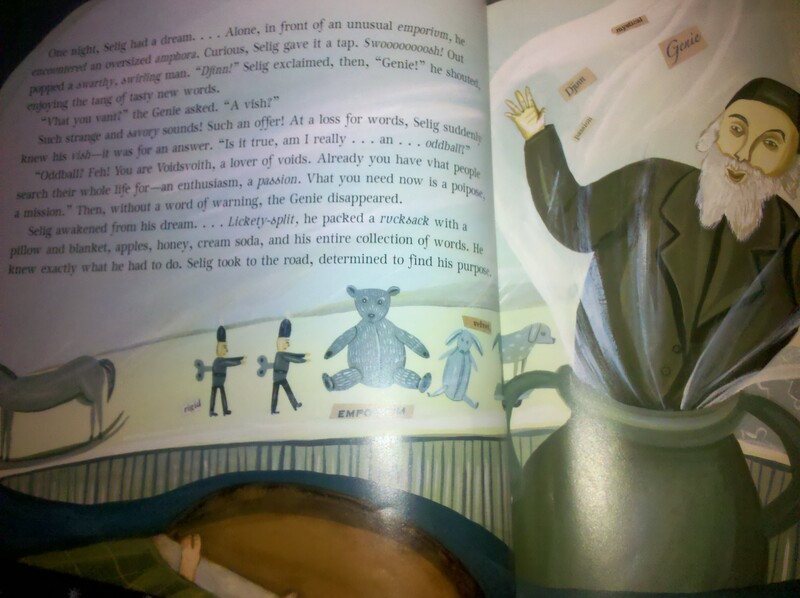 The nouns wear ‘N’ hats and verbs are shaped like a ‘V’. At the end, there are noun and verb puzzles and riddles. The author, Robin Pulver, wrote numerous books similar to Nouns and Verbs Have a Field Day that relate to punctuation and other children’s books. This entry was posted in Ages 6-8, Book Review, Children's Book, Picture Book and tagged Book Review, children's book, Lynn Rowe Reed, noun, Nouns and Verbs Have a Field Day, picture book, postaday2011, Robin Pulver, verb, words. 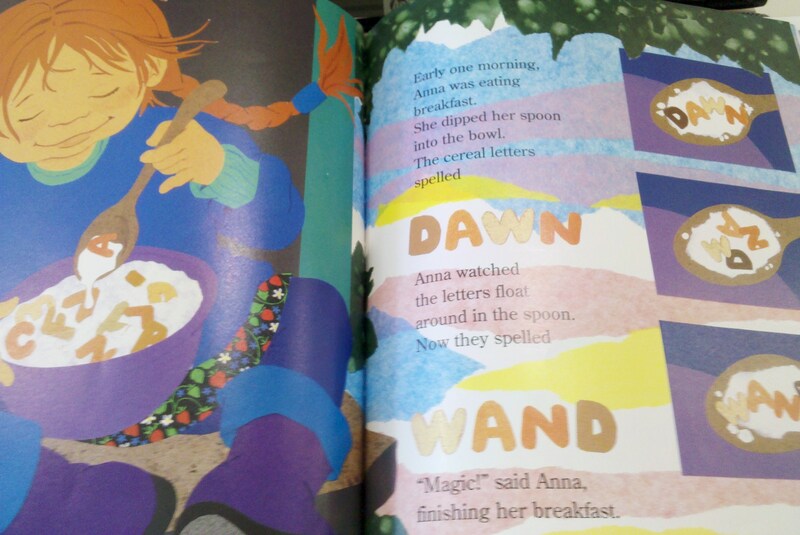 While eating cereal for breakfast, Anna discovers that the cereal letters rearranged from DAWN into WAND just like magic. With her spoon she is now a word wizard and she can change the letters to form new words. She meets a boy who is lost and they begin an anagram adventure. An anagram is a word or phrase formed by reordering the letters from another word or phrase. Along their adventure, whenever they encounter troubles they use Anna’s word wand to rearrange letters. For example, the lost boy’s TEARS form a gentle STREAM that flows into an OCEAN but Anna uses her wand to rearrange into a CANOE. 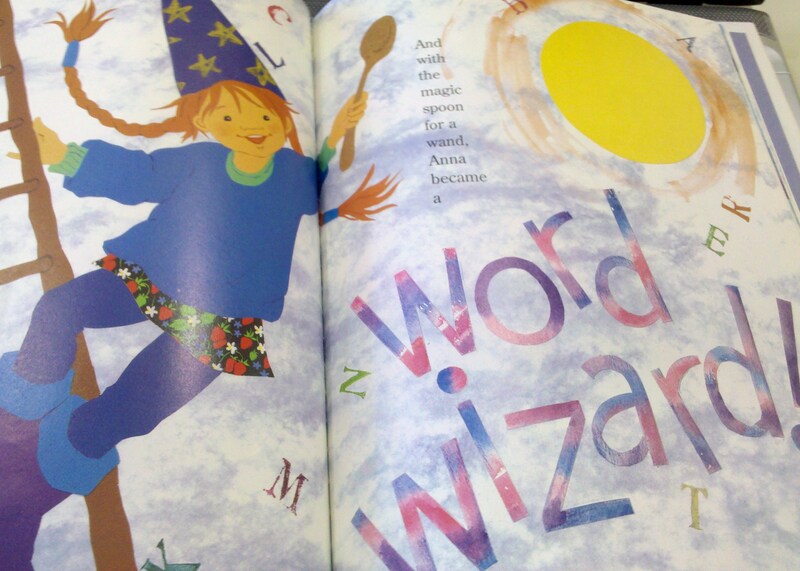 Word Wizard is a fun adventure book that teaches a new word concept. The back provides creative ideas to learn anagrams. – Cut & collect letters from boxes, newspapers, advertisements, and magazines. Form words and glue onto paper. – Use alphabet pasta and eat the words you make. – Make letters from everything: buttons, twigs, vegetables, coins, rocks, etc. – Play word scrabble to make new words. This entry was posted in Ages 6-8, Book Review, Children's Book, Picture Book and tagged anagram, Book Review, Cathryn Falwell, children's book, picture book, postaday2011, Word Wizard, words. Read the book title aloud and you discover Miss Alaineus is actually miscellaneous, which is the vocabulary disaster. Sage got sick from her classmate Forest, who is not a thicket of trees. She’s home sick and needs the vocabulary list to make definitions. Well, her friend Starr, who is not a luminous celestial object, rushes and doesn’t spell out the last word: miscellaneous. Of course, Sage mishears and wonders why her teacher Mrs. Page, who isn’t a sheet of paper, gave a person on the vocabulary list. She’s puzzled and remembers the Miss Alaineus drawer with large spoons, corn holders, and sporks. During a quick shopping trip, Sage grabs the bread and her mom gets Miss Alaineus’ things, which are spaghetti sauce, cheese, corn, and spaghetti noodles. Sage then discovers that Miss Alaineus is the woman on the spaghetti noodles box. Sage writes the definition for Miss Alaineus: the woman on green spaghetti boxes whose hair is the color of uncooked pasta and turns into spaghetti at the ends. Sage returns to school for the vocabulary spelling bee and is embarrassed when she learns that Miss Alaineus is actually miscellaneous after incorrectly spelling the word and providing the definition aloud to the class. Students call her Miss Alaineus and she feels like a Miss Stake. However, Sage turns the disaster into a success at the vocabulary parade where each student dresses as a vocabulary word that they pick. Throughout the entire book, bold words within the text provide word definitions. For example: ‘I thought maybe she was an ancestor: an ancient relative long dead, who left us all these odd things in the drawer’. There’s also word play, such as Forest who is not a thicket of trees. On each page there is a sentence using three words that start with that letter: A – ‘I have a feeling this awesome ailment will cause me great agony soon’. 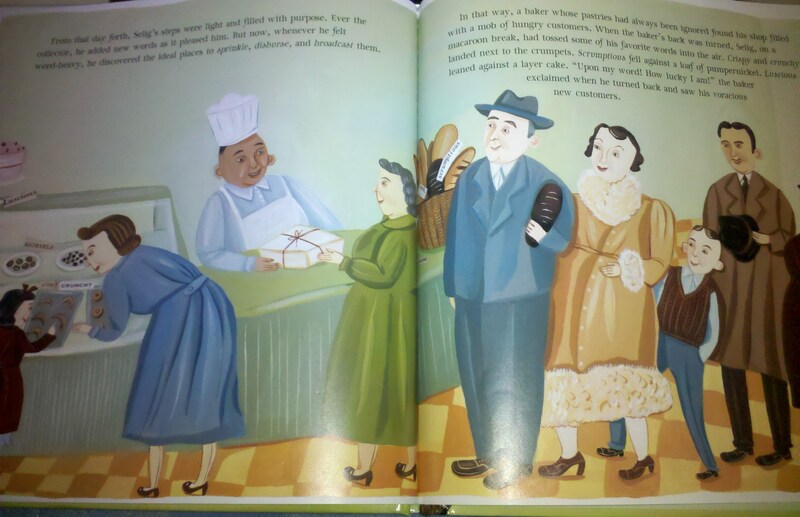 Miss Alaineus is a wonderful book for older ages that gets them excited about vocabulary and turning a mistake into a solution. This entry was posted in Ages 8-10, Book Review, Children's Book, Picture Book and tagged Book Review, children's book, Debra Frasier, miscellaneous, Miss Alaineus, picture book, postaday2011, vocabulary, vocabulary parade, words. Wonderful Words is a collection of fifteen short poems regarding words, books, reading, and writing. 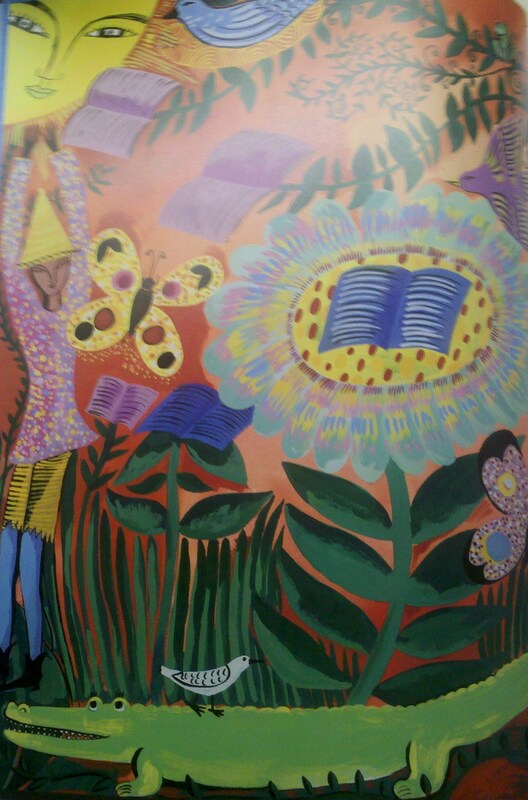 Each poem is on a double page with bright colorful pictures. These poems spark an interest to create poems, build words, and excite about reading. I’ll be honest, I don’t use poetry often. I probably enjoyed half of the poems, but it’s a great book to use when teaching poetry and a fun way to creatively explore words. 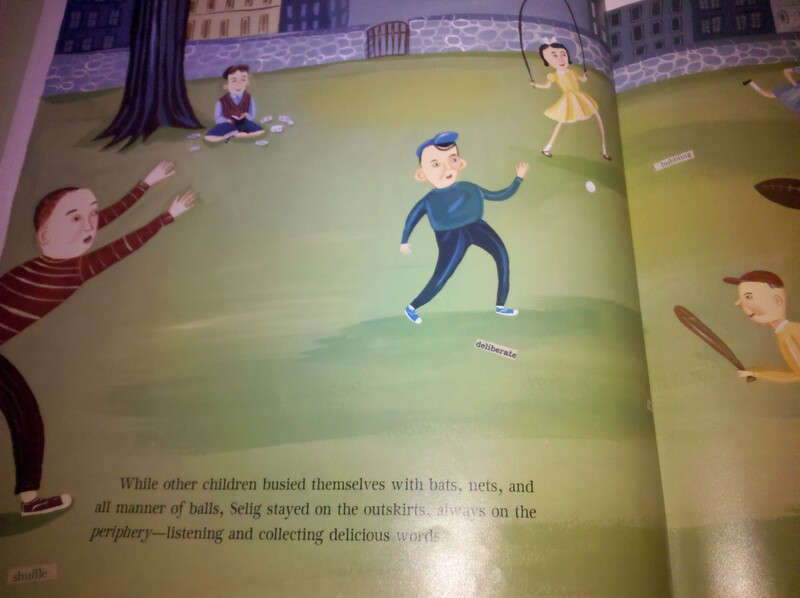 Words Free as Confetti by Pat Mora provides descriptive words for feelings and colors while introducing Spanish words. Come, words, come in your every color. I’ll toss you in storm or breeze. I’ll watch you, words, rise and dance and spin. yo soy libre: I am free. This entry was posted in Ages 6-8, Ages 8-10, Book Review, Children's Book, Picture Book and tagged Book Review, children's book, Karen Barbour, Lee Bennett Hopkins, Pat Mora, picture book, poems, poetry, postaday2011, reading, Wonderful Words, words. Some children collect feathers, shells, or stones, but Selig collects words. Whenever Selig hears a new word he enjoys, he quickly writes it on a piece of paper and stuffs it into his pockets. Most children play ball or jump rope outside, however Selig listens and watches words used to then add to his growing word collection. 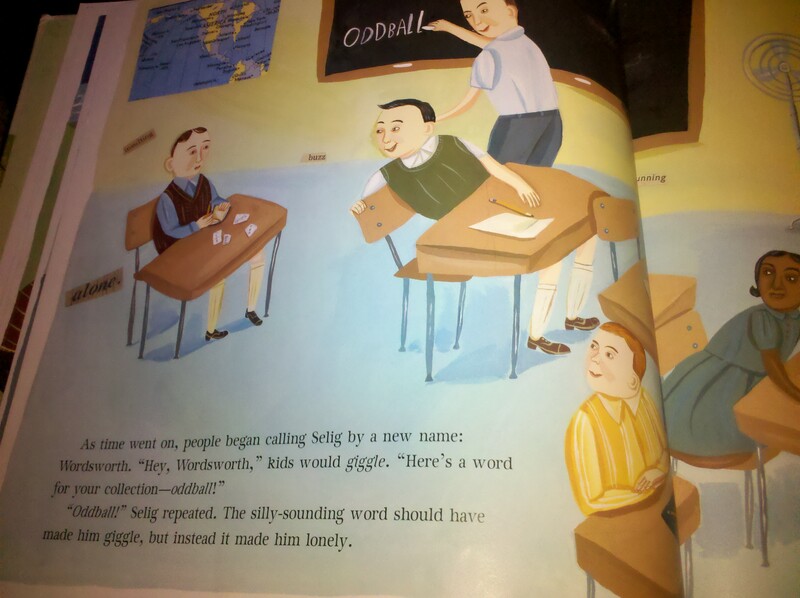 Classmates call him Wordsworth and hurt his feeling when they call him an oddball. Even his parents are puzzled by his word collection. Selig has an unusual dream with a genie who declares that he isn’t an oddball, but is a lover of words. Immediately, Selig awakes and realizes his purpose is to share his words with others. For example, he adds the words sprinkles, scrumptious, luscious, and morsels to a bakery. Eventually, Selig meets his match with a girl who sings words. The Boy Who Loved Words contains wonderful words and introduces new vocabulary. Amazon.com lists this book for ages 4-8, but I think even older children can utilize this book. The language is more complex with short paragraphs on each page. This is an excellent book to teach with writing and throw away boring words. The book provides a glossary with all the descriptive words. I wrote another word collector book review, Max’s Words, which I suggest for younger ages. Selig loved everything about words – the sound of them in his ears (tintinnabulating! ), the taste of them on his tongue (tantalizing! ), the thought of them when they percolated in his brain (stirring! ), and, most especially, the feel of them when they moved his heart (Mama!). This entry was posted in Ages 8-10, Book Review, Children's Book, Picture Book and tagged Book Review, children's book, Giselle Potter, picture book, postaday2011, Roni Schotter, The Boy Who Loved Words, words.